Brian was recommended to me by our realtor and he was awesome! We joined him while he did the inspection as he explained the ins and outs of everything. Due to a few hiccups (out of his control), Brian dropped everything 2 times to to complete the inspection in order to keep our process moving. I give him a 5/5! Brian was great during the process. He was very thorough and took the time to explain some things in detail so we would understand. Would definitely recommend him! Brian did a fantastic job on our home inspection. He communicated the details in a technical, yet understandable manner through his very thorough process. Using technology such as remote control drones and thermal cameras, Brian was able to provide insights into the home beyond what the human eye can see. Definitely recommend him for your next home! Brian was great!!! He was extremely thorough and very helpful during and after the inspection as well. Brian is the best. He is honest, courteous, and on time. If you are looking for a home inspector, I highly recommend Brian. He was a pleasure to work with! Brian was extremely professional and was quick to come out to perform the inspection on my tight closing schedule. The report was easy to read and very detailed. Definitely recommend for any home inspection! Brian is very knowledgeable about his job, we were very impressed with the technology he used to inspect my house. 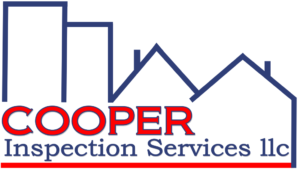 I highly recommend Brian Cooper Inspection services. Brian is the person you want to hire if your looking for a professional, thorough and well documented home inspection. He goes above and beyond and I felt confident that he found all the issues that needed to be addressed. I would recommend him to my friends and family.